Roger Wayne Dahnke, 81, of Hawthorne, Florida passed away on Sunday, November 4, 2018, in Columbus, Georgia following an extended illness. player and fan. He pitched for both Jacksonville University and while in the Army. Roger is retired from the United States Postal Service in Gainesville, Florida. Roger is preceded in death by his wife, Ruby and son, Steven. Survivors include his son, Michael; his Daughter-in-Law, Melissa and granddaughter, Marisa. Roger will be buried alongside his wife and son in South Carolina at a later date. 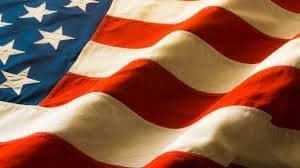 The Dahnke Family is being assisted by Georgia Cremation, 7500 Veterans Pkwy, Suite A, Columbus, GA 31909. The family invites you to leave a condolence or share a fond memory below. My heart is sad today. Mr. Dahnke always made me smile. I know he is happy that he is with his wife… Rest in Peace..